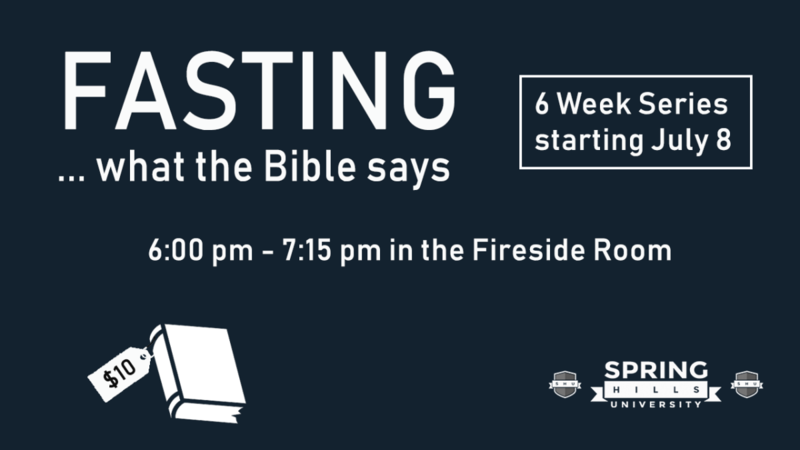 We have a new Spring Hills University class this summer called "What Does the Bible have to say about Fasting?" The class will look at fasting, why God calls people to fast, what Jesus says about fasting, and if you should consider fasting. The class will take place on Sunday evenings for 6 weeks starting July 8 in the Fireside room from 6pm-7:15. The cost is $10. Sign up in the back of the worship center or online.